Braid hair can make you much attractive. If you make suitable braid, it can increase your beauty. 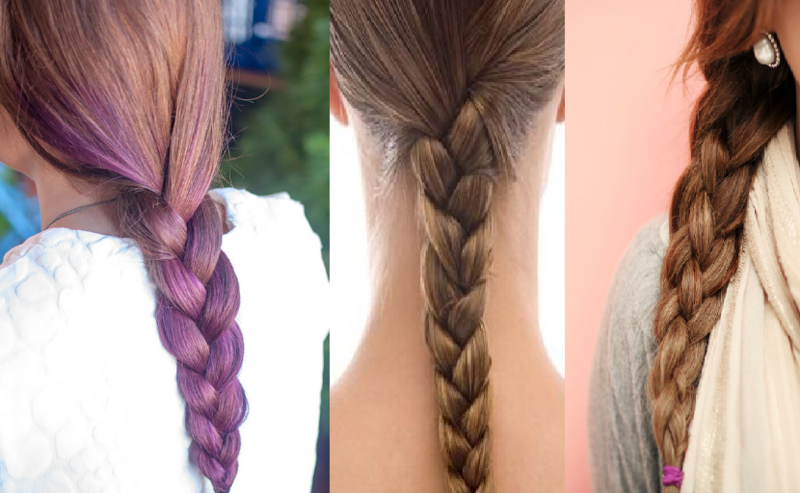 You can braid your hair when it is dry or wet. Make your braid carefully. Try to make bigger braid. Before making braid, you can spray water on your hair. Here I am describing about 9 braided hair styles. Three braided hair is very much suitable for Indian women. At first make three braids. You can make those braids thick or thin. Then join the braids. This style will make you more beautiful. This hair style is also very suitable for Indian women. Before making this hair style, wash your hair. Then make this hair style, because in wet hair you can make this hair style very easily. You can smoothly move your fingers through your hair. In this hair style, you will have to make three braids. The side braids should be thinner than the middle braid. One braid should be over the other two braids, one braid should be in the middle and other braid should be in the lower part. Heart braid style is like heart. First, make two braids. 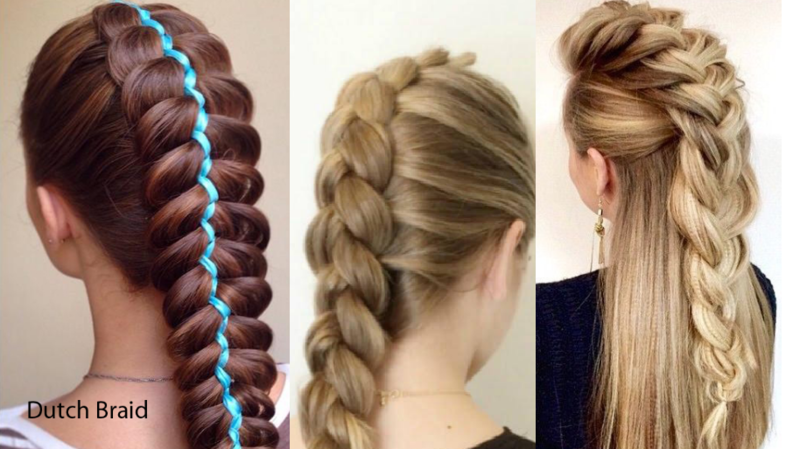 Every braid can be thick or thin. In every braid you will have to use hair in a way that when you will join the braids, it can make the shape of heart. It is better, if the braid touch your neck. Triple braid bun is a little bit difficult. First make three braids with three section of hair. Then turn these braids into bun. In this braided hair style, you will have to divide your hair into two parts. Then make two braids by the two parts. Tie the two braids around the head like two circles. With pin secure the braids. This braid will make you much attractive. This hair style is suitable for young and fair girl. Make this hair style carefully. First, divide your hair into two sections. Then take some hair from both side and make braids. Continue to do this one inch before the last end of your hair. Divide your hair into three sections. One section will be in the middle. The other two sections will be around the middle section. You will have to make braids with the two side sections. You can color your hair. You will have to keep your hair neat and clean. The two side braids will like circles or coils around the middle section. 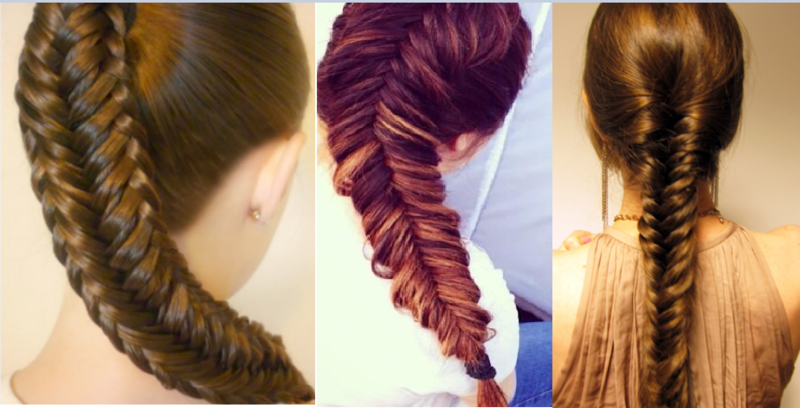 In this hair style you can make one braid or 2 to 3 braids. When you will make the braid, you will have to tie it with your hair with some pins. You will have to tie it in a circular way. You can start the braid from one side of your hair. You can keep it over your ear or behind your ear. 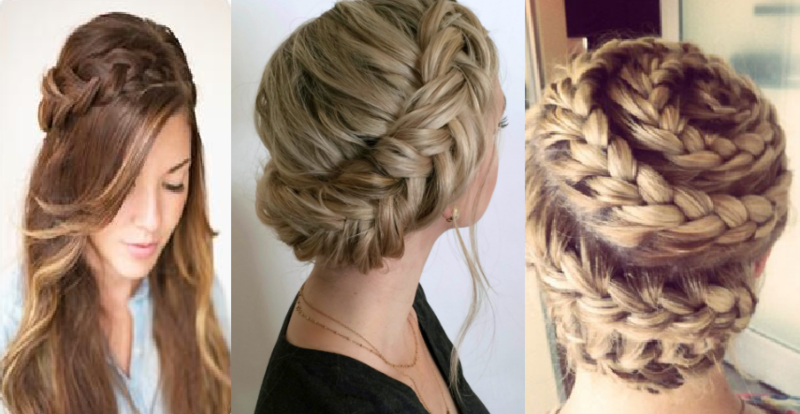 If you can perfectly make the braid, it will make you much beautiful. Make two braids on two sides of your head. Tie the two braids with one another like a crown. Before making the braid you can use gel to make your hair smooth.